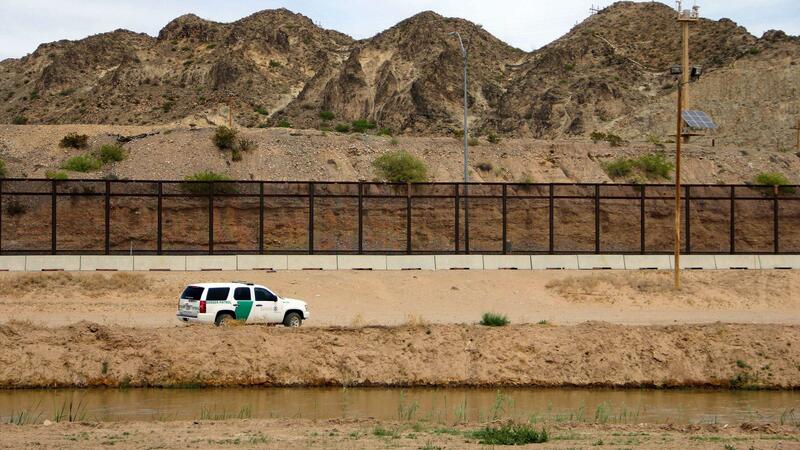 A U.S. Border Patrol vehicle is seen from Mexico while patrolling the border between the cities of El Paso, Texas, and Ciudad Juárez, Chihuahua state, on April 7. She said the number of unaccompanied children apprehended at the border was up over 800 percent in March 2018 compared with 2017, and the number of families apprehended increased more than 680 percent. While the increases are dramatic, they are also not unexpected. The number of illegal border crossings has traditionally increased in the spring, and the total for March of this year remains below peak levels, according to Customs and Border Protection. Nielsen said that while the numbers "are at times higher or lower than in years past, it makes little difference." She called the latest count of illegal crossings unacceptable and said "we must do more to secure our borders against threats and illegal entry, and close dangerous loopholes that are making our country vulnerable." Nielsen was questioned by lawmakers on several issues relating to her sprawling agency. On DACA — the Deferred Action for Childhood Arrivals program President Trump allowed to expire that allows qualified immigrants brought here illegally as children to get a work permit and remain in the country — Nielsen said the administration has been reaching out to congressional leaders to restart talks aimed at renewing the program through legislation. "We would like to get this done," she said of DACA. "We should get this done. We need to get this done." Citing court rulings that have blocked the administration from halting the program, Nielsen said people who are currently registered as part of DACA should not be worried about their status within the immigration system, given court proceedings and the need to negotiate with Congress. Additionally, she said she had taken the step to ensure that those who have an application in to become part of the DACA program will not be an enforcement priority and "will not be deported," provided they have not been convicted of any crimes nor pose a national security threat. On the issue of election security, Nielsen says the proposed FY 2019 budget would also allow DHS to support state and local officials "in defending the integrity of our election systems." She called that task the "very heart of our democracy" and said all Americans have the right to know that their vote is "counted and counted correctly." She said DHS has "done a tremendous amount" working with state and local government and pulling resources from the security of other sectors to assist states with securing their elections systems, a concern given Russia's interference in the 2016 election and the upcoming midterm elections.